Thank you so much for everything today you were brill and the kids just loved the bouncy castle. Probably the best and cleanest castle's available in the area's they are very professional in their job. Prompt delivery and enjoyed by all. I have no hesitation in recommending them. 5* Let down last minute by another company! Crown Castles came out with a bouncy castle within an hour and saved the day:) Definitely be using them in the future. Thank you so much for your wonderful service today in providing entertainment for our children's birthday party! A last minute booking, you delivered on time and more than helpful offering friendly and professional service. Would recommend and have already placed booking for an upcoming event. Thanks again. Our Princess Bouncy Castle is perfect for your little princess and her Princess Party! Guaranteed to make any child feel like a princess on their special day. So grab your tiara, and let's get bouncing! Comes with safety mats and everything else you need and the price includes delivery and set up! Hire A Princess Castle In Cambridge, Huntingdon, St Neots & Peterborough! 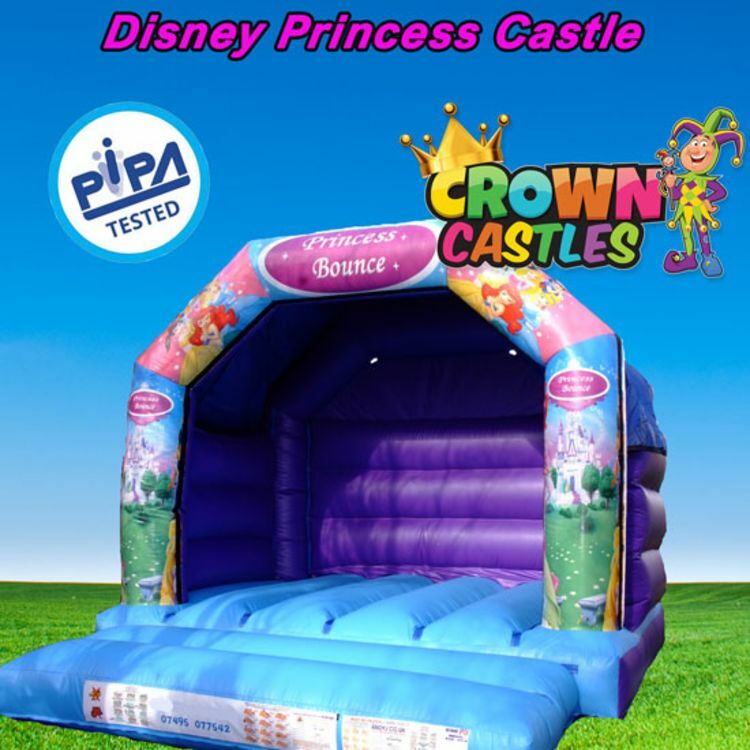 This Princess Bouncy Castle can be hired for outdoor use or indoor in a hall or venue, please always check with the venue that the castle will fit safely inside! remembering to check the ceiling height.